Looking for a new series of views on Advent? This look at the Saints is a deep, refreshing way to understand Christ's birth. Want a deeper understanding of Advent? Advent is about arrival - the arrival of Jesus into our world in poverty and vulnerability amidst unusual circumstances. For the world then, as now, Christ's coming generated a mixed response from a variety of people - anxiety, threat, expectation and hope. For Christians, entering Advent calls for fresh reflection on our faith, and this book aims to provide stimulating material for the journey up to (and including) Christmas. 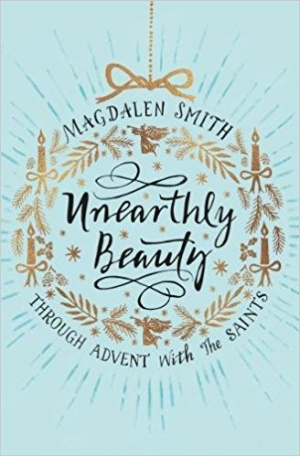 It is inspired by well-known, as well as more obscure, holy people from the past whom the church calls saints - people of unearthly beauty who reveal to us a deeper understanding of the fluid nature of divine grace. Unearthly Beauty by Magdalen Smith was published by SPCK Publishing in August 2017 and is our 24881st best seller. The ISBN for Unearthly Beauty is 9780281077182. Be the first to review Unearthly Beauty! Take a peek at some articles related to Unearthly Beauty. Got a question? No problem! Just click here to ask us about Unearthly Beauty.